The relentlessly inventive Gerhard Richter is the subject of a meticulously crafted exhibition at Dominique Lévy in London this month, shedding light on a less recognized body of work from the early years of his decades long career. Dating back as far as 1966, Richter’s works in the Color Charts series promise a unique and disparate offering, juxtaposed with his eminent and contemporaneous Photo Paintings, which brought the German artist massive global recognition. This selection, compiled from a number of different collections globally, reunites a handful of earlier examples from the Color Charts series for first time since they debuted at Munich’s Galerie Friedrich & Dahlem in 1966. Gerhard Richter, Fünfzehn Farben (Fifteen Colours) (1966-1996) Photo: Tom Powell Imaging, Inc.
Richter is doubtlessly among the most immediately recognizable in the art world, a consistent market presence whose work has simultaneously and continuously asserted its critical muscle across a constantly evolving practice. 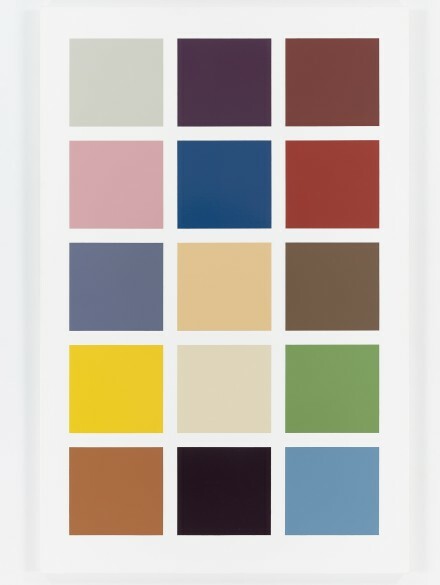 Standing opposed to the often deeply theoretical and complex notions his contemporaries turned to for inspiration, Richter was often driven by simplistic images and moments of encounter, here taking the form of hardware store color charts for paint mixing, and their strictly straightforward, utilitarian form. 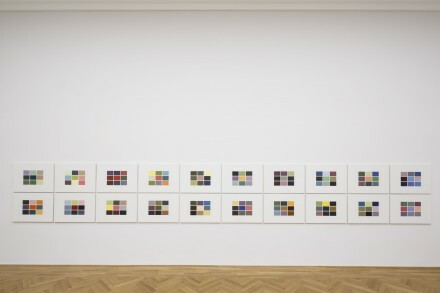 Among the lenders of this exhibition are the Hamburger Kunsthalle, which loaned 192 Farben (192 Colors), the exhibition’s sole oil on canvas, and the Gerhard Richter Archive, which contributed 180 Farben (180 Colors), particularly notable for being the first work Richter created upon his return to the series in 1971. Channeling the Cologne-based artist’s roots as a figurative painter, Sänger (Singer) is by far the most intriguing piece in the show, thanks to its double sided form, housing a spruce example of his Photo Paintings on the front and a color chart in various tones of red on the opposite, taking the investigatory atmosphere of the show to an impressive singular point of comparison. 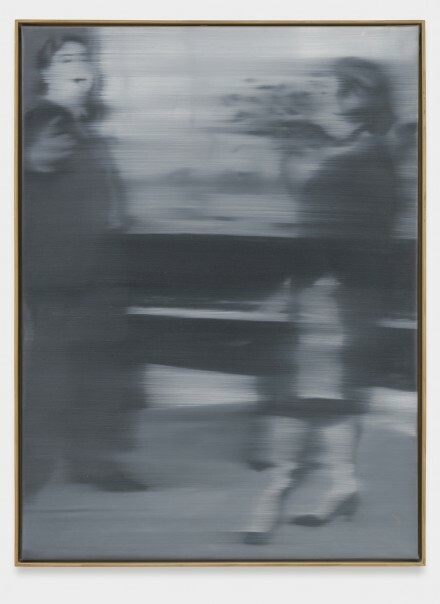 Even as the art world of his era gravitated towards sharp distinctions among movements and aesthetic philosophies, Richter’s engagement with varying practices and myriad painterly techniques, shown here on a single canvas, underscores the artist’s enduring reputation and massive impact on the contemporary field today. 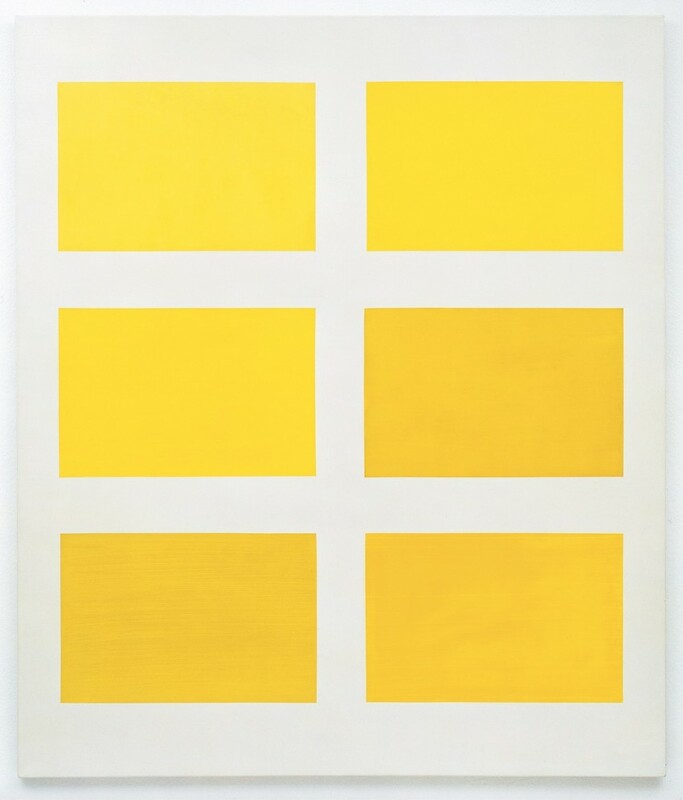 Pursuing the gesturally-liberated directions that Abstract Expressionism had paved for mid-20th century artists, Richter ties the legacy of the genre with leading movements of his time: Pop Art and Minimalism. 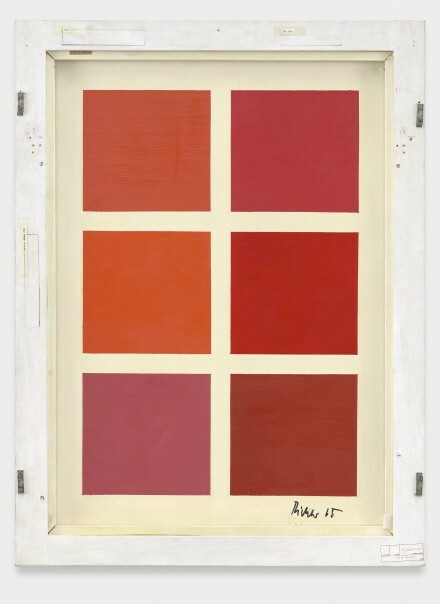 Seemingly opposed at first sight, these two disciplines, both sought-after in the dynamic landscape of the 1960s, eloquently harmonize disparate accents of the artist’s hand with consumerist culture, joined with the simplistic and stripped-down threads of Minimalist Art. 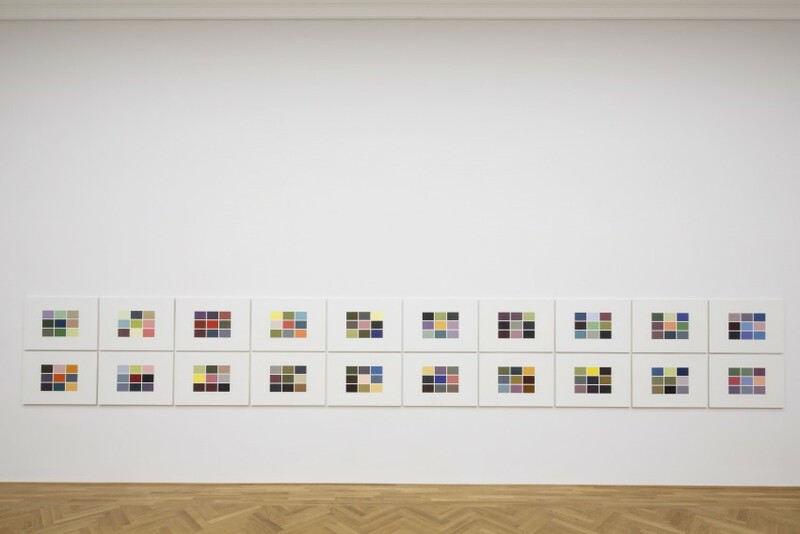 Gerhard Richter: Color Charts is on view at Dominique Lévy through January 16, 2015. 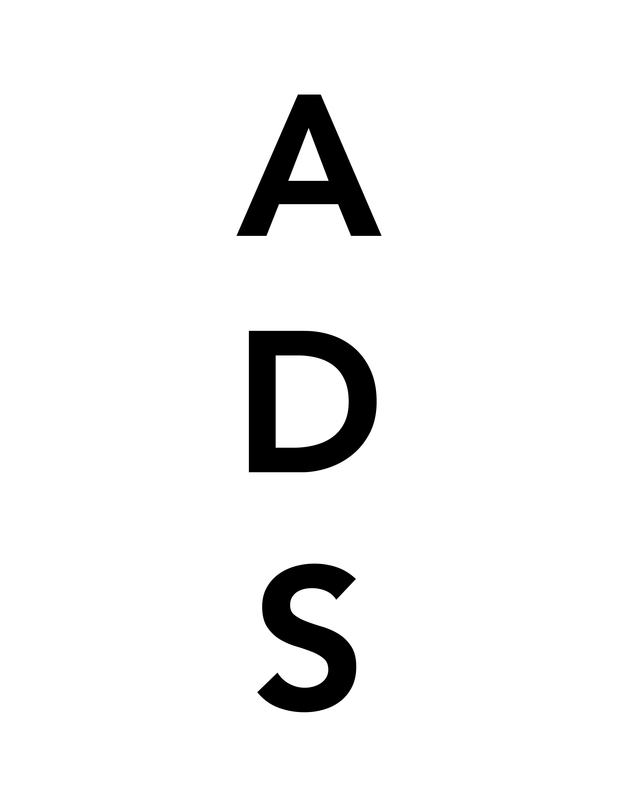 This entry was posted on Tuesday, November 17th, 2015 at 12:00 am	and is filed under Art News, Featured Post, Show. You can follow any responses to this entry through the RSS 2.0 feed. You can leave a response, or trackback from your own site.